As any true explorer knows, inspiration comes in many forms. At Red Rock Winery, we get ours from the beauty of nature. Red Rock wines embody the universal quest for discovery to reach the summit, no matter where that may be. Our wines are bold and daring and inspire us to never stop dreaming and never stop climbing. Each bottle of Red Rock is crafted as an everlasting oath—a promise—to put our all into every wine we make. The result: a smooth Merlot, a bold Malbec, a rich Pinot Noir and a complex Red Blend. 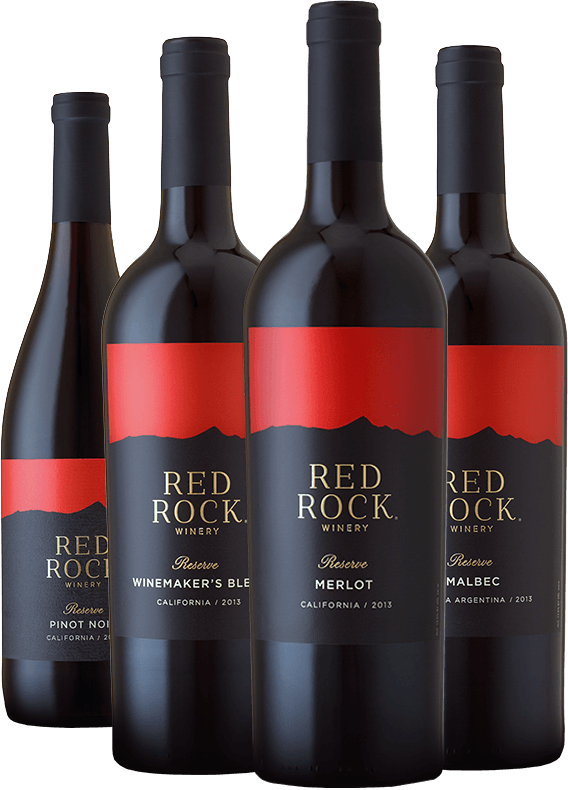 Elevate your glass with Red Rock wine.